White-Ram. Road Trek RS Adventurous RV. I picked up my new Road Trek RS Adventurous RV today at Campers Barn in Kingston, New York. 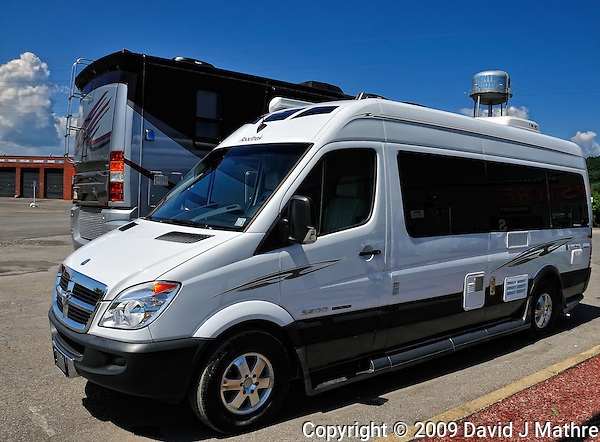 The RV is built on a Dodge Sprinter body with a Mercedes diesel engine by the Road Trek folks in Canada. In nine days I start my “Gone to See America 2009” road trip. This trip will take me to by road to Bellingham Washington, to Alaska on the Alaska Marine Highway, on road again to Anchorage and Denali Alaska to take part in the Nikonians ANPAT 9, and then back via the Alaska-Canada highway.